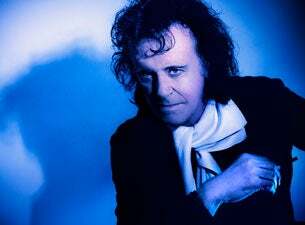 Donovan is a legendary folk-rock-pop troubadour that remains an important part of popular culture since his career began in 1965. He truly is one of the preeminent members of British Rock Royalty. Donovan helped transform the 1960s musical landscape from folk to psychedelic to pop and back again with a repertoire of remarkable and extraordinary masterpieces that remain as vibrant a collection of material today that continues to serve as a soundtrack to our lives. Through his knowledge of the divine art of meditation, he has been able to take his music to a level that easily unites the inner world and the outer world leaving a musical imprint on our DNA. Early songs like Catch The Wind, Colours and his version of Buffy Sainte Marie’s protest anthem Universal Soldier, helped launch his career. But, from 1966 through 1969, Donovan scored a string of eleven Top 40 hits in a row, including Mellow Yellow, Sunshine Superman, Epistle To Dippy, There Is A Mountain, Wear Your Love Like Heaven, Hurdy Gurdy Man, Jennifer Juniper, Lalena, Atlantis, and Riki Tiki Tavi. In 1968, Donovan in body, mind and spirit joined alongside The Beatles on their famous trip to India. At that time, Donovan not only influenced the guitar styles of John Lennon and Paul McCartney, but also studied Transcendental Meditation alongside the band. Because of this, Donovan, along with the Beatles, is known for being chiefly responsible in bringing Transcendental Meditation and Eastern Mysticism into Western Culture. To this day, Donovan and his wife Linda work closely with American filmmaker, television director, visual artist, David Lynch, heading up the musical wing of his organization, the David Lynch Foundation, to bring meditation to millions of students worldwide. Throughout his brilliant career, Donovan has shared the stage with many musical legends, including folk greats Pete Seeger, Joan Baez, John Sebastian and Bob Dylan, as well as rock guitarists Jimmy Page and Jeff Beck. In 2003 Donovan was awarded a doctorate of letters by St. Albans University in recognition of his contribution to poetry and songwriting. Recently, Donovan’s success has continued with his album Beat Café and a new CD box set “Try for the Sun: The Journey of Donovan” (Sony). His autobiography The Hurdy Gurdy Man (Arrow Books) was published in 2005 by St. Martins Press New York and Century UK.